Buy quality HDPE Twisted Twines from Nirmala group. HDPE Twisted Netting is made with ultra high tenacity POLYTIT yarn, which is extruded from the best know extruders from SIMA, Italy. Nirmala Group - We introduce ourselves as premier company offering all types of Fishing nets, Construction nets, Sports nets, Agricultural / Shade nets, Sports nets having excellent development and export capabilities. Goospares, MRO fasteners dealers offering a wide range of fasteners like nuts, bolts, screws etc from OEM manufactures. Visit www.Gospares.com for more details . For queries connect us call/whatsapp to +91 8939990568. Aarbee produces high quality Chapati Making Machines. 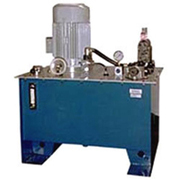 Our manufactured models are capable of producing specific chapathi making machines for producing ready to eat chapatis, uncooked chapatis, and semi cooked Chapatis..
Sri Ganesh Mill Stores has Flour mill machinery, Pulverizers, Roasters, Grinding machine, Oil expellers, Destoner machine, Ribbon blenders, Lassi machine, Ice crusher, Hammer mill.Our Mill machinery store has spares and services for Pulverizers, roaster, grinders, oil expellers, destoners, blenders, ice crushers..
Steel casting foundry - Sri Steel Industry is one of the main steel manufacturing industry in coimbatore, Sri steel is one of the manufacturer of BHEL, TOSHIBA and many other casting Industries -It is also a TUV and ISO Certified Industry. Steel Casting foundries in Karamadai alloy steel in coimbatore casting. Manufacturing fully automatic paper cup machine in India with good quality and low price..
We are one of the quality manufacturers and exporters company of longlines, weed cutters, HDPE twines, PE nets, fishing nets, safety nets, fishing lines and etc., in Coimbatore..
We are a leading Woven Wire Mesh Manufacturers Company based in India offering standard Woven Wire Mesh including SS Wire Mesh, Woven Wire Cloth and more at best price.. Welcome to GK Industries, We offer first class services for our customers. 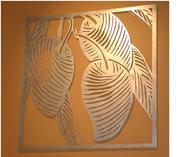 We do CNC laser cutting for various metals like stainless steel, aluminum, carbon steel, plain steel etc, . Our services include cutting, forming, welding, brazing and many more customized services. We provide these services using well equipped machinery and latest technology. Nirmalagroup.in Coimbatore, India is a leading manufacturers and suppliers of Trimmer Line. We offer Round and Square Trimmer Line in premium and standard range that fits in all trimmer heads..
Polyester Monofilament Nets & Nylon Monofilament Nets: Find wide range of Polyester and Nylon Monofilament Nets from Nirmalagroup.in. 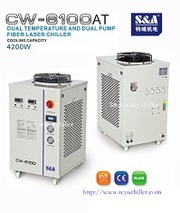 We are leading manufacturers and exporters of Nylon Monofilament Nets from Coimbatore, India..
Recirculating chiller for water cooled fiber laser CW-6100AT CW-6100AT recirculating chiller is developed and produced by S&A company, applied to cool 500W water cooled fiber laser machine CW-6100AT air cooled chiller is dual temperature and dual pump chiller of 4200W cooling capacity. It is able to cool the fiber laser and optic lens at the same time, multiple use for saving cost, space and manual move, quiteconvenient for the user. Banaraswala is a leading manufacturer from Coimbatore, South India. Our product range includes perforated sheets such as mild steel perforated sheet and brass perforated sheet.. Classified Ads :- Sunnerindia Services is extended by trained, well-versed technical personnel. We area unit experienced in warming, warming machine, warming instrumentation etc. For more information please visit us at: http://www.sunnerindia.org/ Our Office Address :- Renowned Engineers Private Limited Puzhal, Chennai - 600 066 Phone: 044 26591002/3/4/5 Telefax: 044 26590260 E-mail: enquiry@sunnerindia. We are one of the oldest chain manufacturers who have been constantly innovating in terms of manufacturing processes. We are pioneers in the concept of “cellular manufacturing” in the Indian chain industry.For more details visit http://www.rombochain.com/manufacturing Contact us: Address: TIDC India Post Box No 11, M.
Stark Motors is one of the distinguished providers of electric Hollow Shaft motors using high quality raw materials and modern technology in complete adherence with international quality standards.For more details visit http://www.starkmotors.com/products/Hollow-Shaft-Motors.html Contact us: Address: Stark Motors, 96, Sitra Road, Kalappatti, Coimbatore- 641048 Tamilnadu. We are facilitated with latest technology to manufacture the conveyor chains and these custom-made chains are processed for various industries like Primary metals, Cement manufacturing, Fertilizer, and Sugarcane mills.For more details visit http://www.rombochain.com/conveyor-chains Address: TIDC India Post Box No 11, M.
Classik cooling towers is one of the leading manufacturer of cost effective and efficient cooling towers. Classik cooling towers is one of the best suppliers and exporters of industrial cooling towers in india..
Stark motors deliver wide range of coolant pumps with high phase supply and capacity and we are the leading coolant pump manufacturers in india with international quality standards.For more details visit http://www.starkmotors.com/products/Coolant-Pumps.html Address: Stark Motors, 96, Sitra Road, Kalappatti, Coimbatore- 641048 Tamilnadu. Carlstahlcraftsman is one of the highly renowned manufacturers of supreme quality electric chain hoists in India. We provide high capacity brakes for enhanced reliability and increased life and low maintenance cost..
Coolant pumps from stark motors are especially manufactured at high standards to meet the competitive demands in varied sizes and specifications by the engineers. 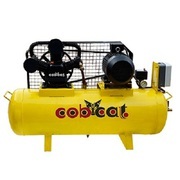 COBURG EQUIPMENTS PVT LTD started in the year 2002 started as “Coburg India” and later registered as a Pvt. Ltd company in the year 2006. The vision and commitment of our organization has today recognized us as a key company offering Low Cost Automation Solutions when it comes to Compressed Air Technology. 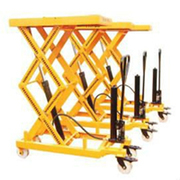 We are recognized as a trustworthy Scissor Lift Manufacturer and Supplier in Tamil Nadu. To cater to the diverse industrial needs of Scissor Lift, we provide its wide range that includes Movable Scissor Lift Table, Scissor Type Work Platform, and Stationary Lift Table. These Scissor Lifts are manufactured as per the set standards by utilizing finest grade raw materials. Semi-Electric Stacker With Wide Leg Product Description: Place of Origin:Tamil Nadu, India Brand Name:BHARATH Model Number:BSES-5-16 BSES-10-16 BSES-15-16 BSES-20-16 Type:Powered Pallet Truck Power Source: DC Motor Condition: New Detailed Product Description: We provide Semi Electric Stacker that is an economical answer to a multitude of mobile lifting applications. 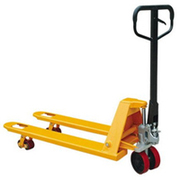 Place of Origin: Tamil Nadu, India Brand Name: BHARATH Model Number: BL-25SS BL-30SS BL-50SS Lift Drive / Actuation: Hand Payment & Shipping Terms: Detailed Product Description: We hold specialization in providing highly advanced Stainless Steel Hand Pallet Truck. The Stainless Steel Hand Pallet Truck. 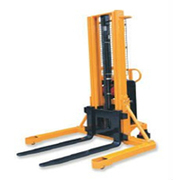 We provide Semi Electric Stacker that is an economical answer to a multitude of mobile lifting applications . Hydraulic Power Pack Units are the Superior power source for most work holding applications, complete with all electrical and hydraulic controls. Quiet, life-long geared pump, powered by an enclosed fan-cooled universal motor. Sasindustry’s aim is to fulfill the demands of the global environment protection, with eco-friendly products. Products	• Paper cup making machine • Paper plate making machines • Die punching machine • Online multicolor die punching machine • Machine spares Email sales@sasindustry. It is a ISO 9001:2008 company.we sell cast iron globe steam stop valve-straight pattern(flanged), cast iron globe steam stop valve-right angle pattern(flanged), cast iron horizontal life check valve-straight pattern(flanged), cast iron life check valve-right angle pattern(flanged), cast iron accessible feed check valve-straight inlet(flanged), cast iron swing check valve(flanged), cast iron 'y' type strainer(screwed), cast iron 'y' type stainer(flanged), cast steel globe steam stop valve pn40-straight pattern(flanged), cast steel globe steam stop valve pn40-right angle pattern(flanged), cast steel horizontal life check valve pn-40-straight pattern(flanged), cast steel life check valve pn40-right angle pattern(flanged), cast steel parallel blow off valve(flanged), cast steel sleeve packed water level gauge(flanged), stainless steel thermodynamic steam trap(screwed), cast steel ball valve class150-3 piece design(screwed), cast iron sluice valve(flanged), cast iron non return valve swing type(flanged), cast iron butterfly valve(wafer type), cast iron dual plate check valve, cast iron ball valve(screwed), cast iron ball valve(flanged), cast iron 'y' type strainer(screwed), cast iron 'y' type strainer, cast iron single air valve(screwed), cast iron double air valve(flanged), cast iron kinetic air valve(flanged), brass compact type P.
Industrial Tools & Equipment Tamil Nadu ads Tamil Nadu, Industrial Tools & Equipment classifieds Tamil Nadu, Industrial Tools & Equipment free ads Tamil Nadu, ads for sale Tamil Nadu, ads to buy Tamil Nadu, FREEADS in India Page number 3-1. Find here ads for sale, to buy and rent in Tamil Nadu. Goods for sale in Tamil Nadu, vehicles for sale in Tamil Nadu, Tamil Nadu real estate for sale, Tamil Nadu property for sale, property for rent in Tamil Nadu, business ads in Tamil Nadu, Tamil Nadu business classifieds, services in Tamil Nadu, Tamil Nadu services ads, jobs in Tamil Nadu, pets for sale in Tamil Nadu, Tamil Nadu dating, Tamil Nadu cars for sale.